Now that you’ve had the opportunity to look through our Spring 2016 Collection, we want to take a moment to highlight a few things. We asked our Buyers to tell us which item from their respective categories they are most pleased with, and though it was no easy task, we now have four of their top picks for your consideration. Read on to find out what they have chosen, and why! What does “tradition with a twist” mean? We’ve said it before: Great style has something of the moment and something that’s timeless. 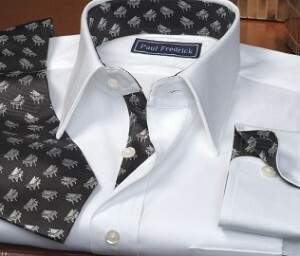 This is reflected in all Paul Fredrick clothing, and bears repeating. We carefully merchandise each season’s collection to give you the widest possible range of choice to find your own style, with a discerning eye for apparel that is timely without being trendy. Our clothes have a relevancy that will give you the confidence of being “on the ball,” but without a six-month expiration date that starts ticking the moment you open the package. 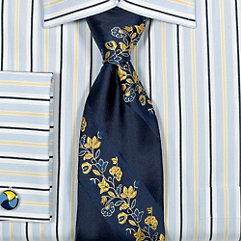 And with our fit guarantee and quality standard, everything you choose can be worn for years to come.